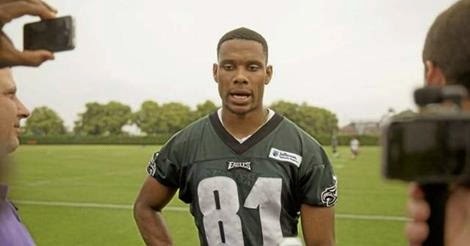 With a small handful of wide receivers slowed by injuries, Eagles second-round pick Jordan Matthews has stepped to the forefront at training camp. No pass catcher has shown more improvement here than the 6-3, 209-pound product of Vanderbilt who set SEC receiving record after SEC receiving record. "I like his size, his hands and the way he finishes," Eagles great Mike Quick, one of the top receivers in franchise history said. "He works like he’s the last one on the list. And I like that." Eagles offensive coordinator Pat Shurmur echoed Quick. "Every little kind of hurdle we’ve given him as he prepares himself for the season he’s done a great job of jumping over," Shurmur said. "And he just continues to get better and better every day. Just like all our players, we have high expectations for him."